It’s officially baseball season again. Our favorite team, the Philadelphia Phillies, are starting their season out in Citizens Bank Park. A different kind of team took the field last year in Citizens Bank Park as well. 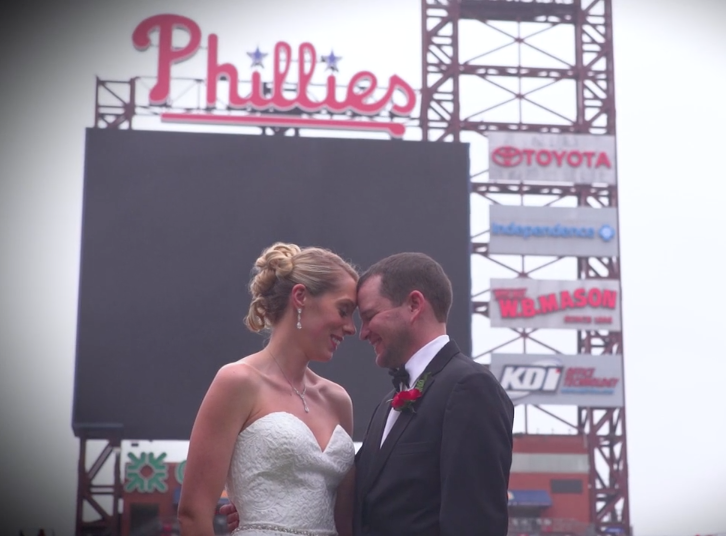 Couple and die-hard Phillies fans Kelly and Scott decided to tie the knot at the baseball field. 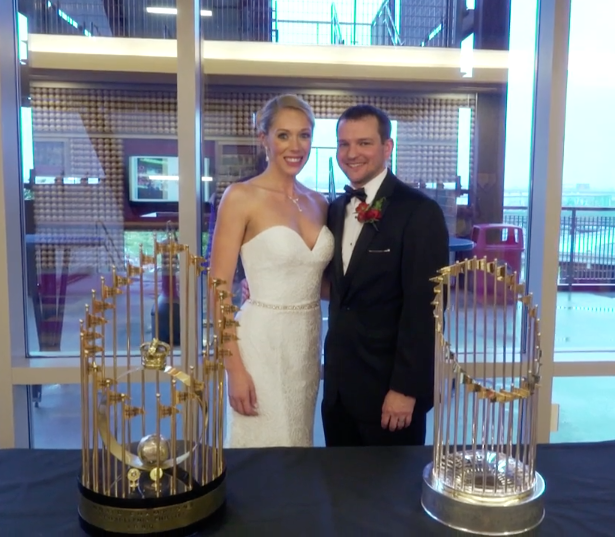 They had their ceremony at the Phillies Hall of Fame and then an exciting reception at the Diamond Club. A special guest even showed up to celebrate with the two, the Philly Phanatic! Every piece of their wedding was filled with Phillies-themed decor. When announced husband and wife, their guests clapped and waved Phillies’ rally towels. 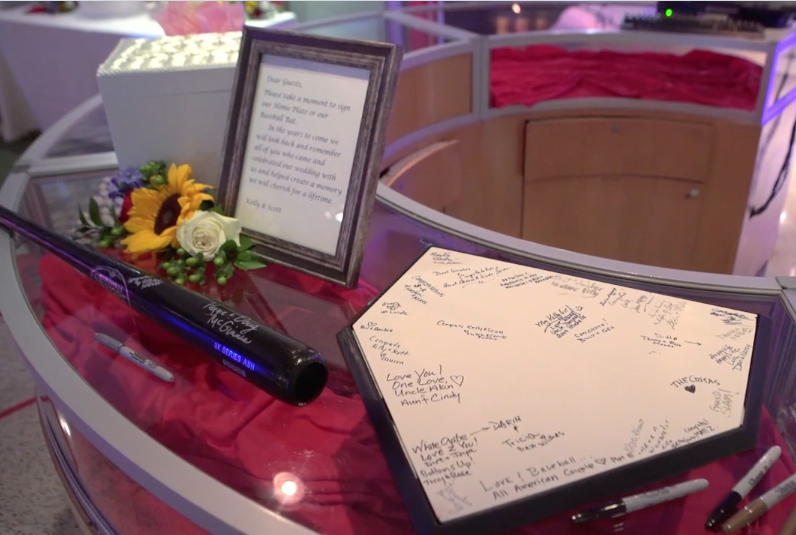 At the reception, the cake topper was baseball-themed as well and the guests signed in on a replica of home plate. Kelly and Scott’s love for the game created a passion for each other. We wish them so much happiness and hope they’re celebrating Opening Day today. Check out their wedding preview video below from our media partners, Allure Films.